I’ve been conducting tours in Romania every season – I’ve been spending an average of 2-3 months a year in the country, so I’ve been able to sense some subtle changes that were not obvious to everyone. Back in 2010-2011 those were really some careless times. There were groups of foreign offroad tourists all over the place, and nobody was really worried about anything. The first sign that something was changing was the fact that every year since then there were more and more new locked barriers (ramps) put at strategic points on forest roads. 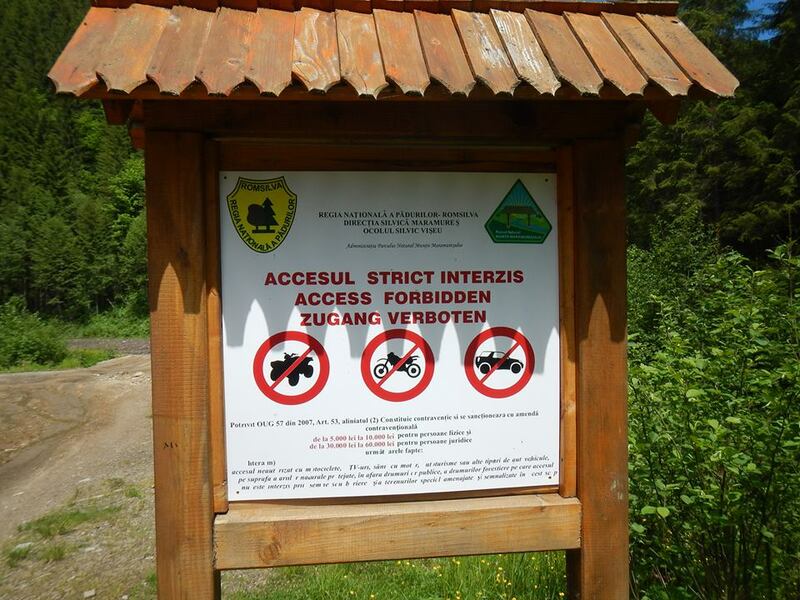 In addition to those, even more trailheads were populated with the “accesul interzis” signs, meaning “access prohibited”. But again, nobody really cared about those signs – they were just something that the foresters were obliged to nail into the trees for more or less formal reasons. The locals were offroading just like before, and the foreign tour operators were conducting their tours as if there’s nothing wrong. 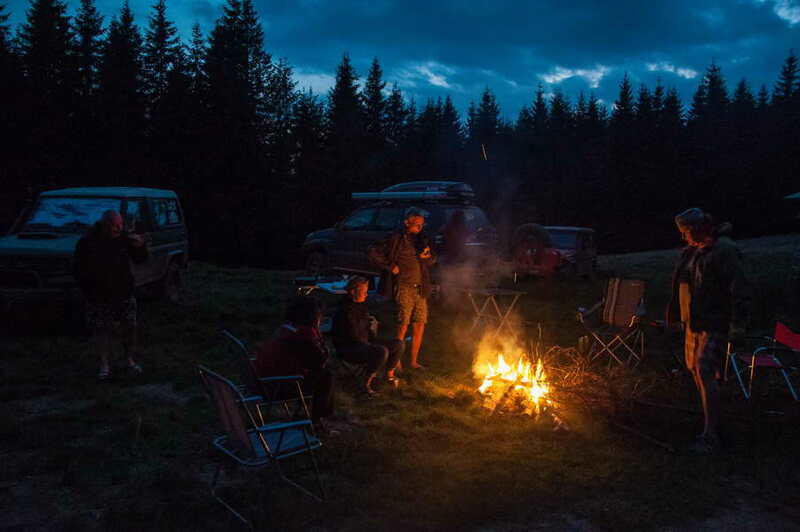 Relaxed camping in the Carpathians – only a sweet memory? But, I couldn’t help noticing that there were fewer and fewer groups of offroaders that I met every year. By 2016 those encounters in the wild became more an exception than a rule. It became obvious that something was wrong, and people have become hesitant to overland in Romania (probably worried about the same things that I’ve been noticing). October 2016 crackdown – truth or myth? There is gossip all over Romania that, starting in October 2016, the Romanian government has started the implementation of a hardline policy of enforcing that law from 2007 without exceptions, and to impose heavy fines (measured in thousands of Euros) on all those that travel illegally in 4×4 vehicles through the Carpathians. 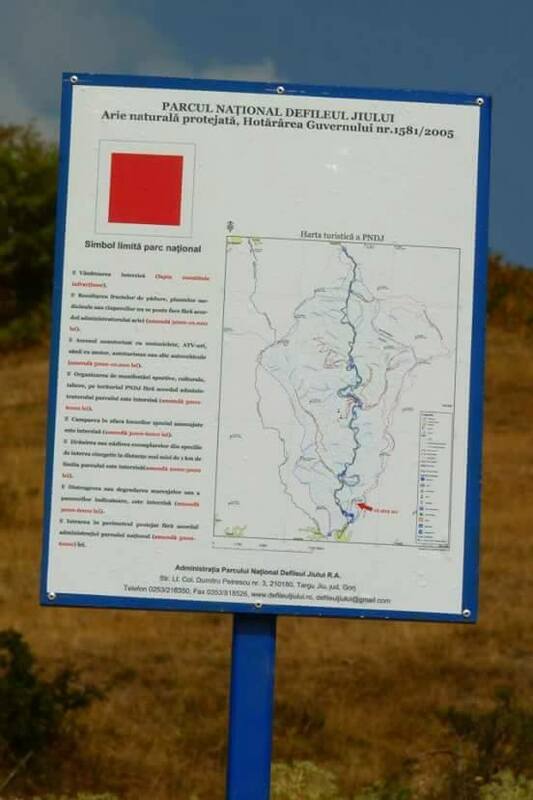 New warning boards were erected in the forests (this time also in English and German, so that foreign tourists can’t justify their breach with “not understanding what is written”), and some informed sources said that the foresters of Romsilva (the state company in charge of managing the forests in Romania) and the mountain gendarmerie are going to do their job conscientiously, without taking bribes any longer (which is the default method of solving 99% of “legal problems” in Romania). But what does that mean for our future 4×4 touring of Romania? Do we call it game over, or can we still do it, if certain conditions are met? Is it possible to formally legalize what we’ve done there in previous years by getting a permit and official approval for our tours? So are we going to tour Romania in 2017? That is something for every tour operator, individual or informal group to decide for themselves. Some claim that they have permits, but it seems that they’re actually relying on their luck, knowledge of local terrain, common sense to avoid sensitive areas (national parks and reservations), and their belief that the crackdown is not going to be fierce from the very beginning, and that bribery is still going to work (only the amounts might be slightly higher than before). As for myself, I’m still in close communication with my Romanian contacts, trying to secure a credible partner in Romanian administration that can give me solid guarantees. It would be madness to enter any senseless risks and end up as sacrificial lambs (there have already been some unconfirmed reports that some foreign organizers of 4×4 events in Romania have payed hefty fines this year). So if you go to Romania in 2017 and don’t have an offcially issued paper that you’re permitted to do what you intend to do, you must be prepared for things to go terribly wrong. Although they probably will not, as long as you’re discrete in your overlanding style, considerate towards the environment, and respectful towards authority – and, of course, obey each and every “accesul interzis” sign that you encounter, no matter how much that leaves you only the boring, main gravel roads to “enjoy”. No, I’m not trying to scare you off. If you love Romania and can’t imagine one season without a 4×4 adventure in Romania, we share the feeling. Now, all the fuss may well be just a manouver to discourage foreign tour operators from operating in Romania, leaving the job to locals. But it sure looks like Romania is experiencing the recent fate of Slovakia (and long ago the rest of western Europe) and will become quite much closed to offroaders in 2-3 years. Another country where common sense and freedom of movement has been overrun by the senseless, restrictive EU laws. If Romania is written off, where do we go? Your input, your thoughts, opinions or any information that you have on this subject is welcome, so don’t hesitate to comment on this blogpost. Lets make it really informative for people who want to overland Romania in the future. Thanks!